Born into the Pardhi community — a hunter-gatherer nomadic community that is classified under the so-called 'denotified' tribes of India — Sijaran is among the first in her community to go to college. Sijaran Pardhi, 22, stands outside her house in Satna, Dec 2019. 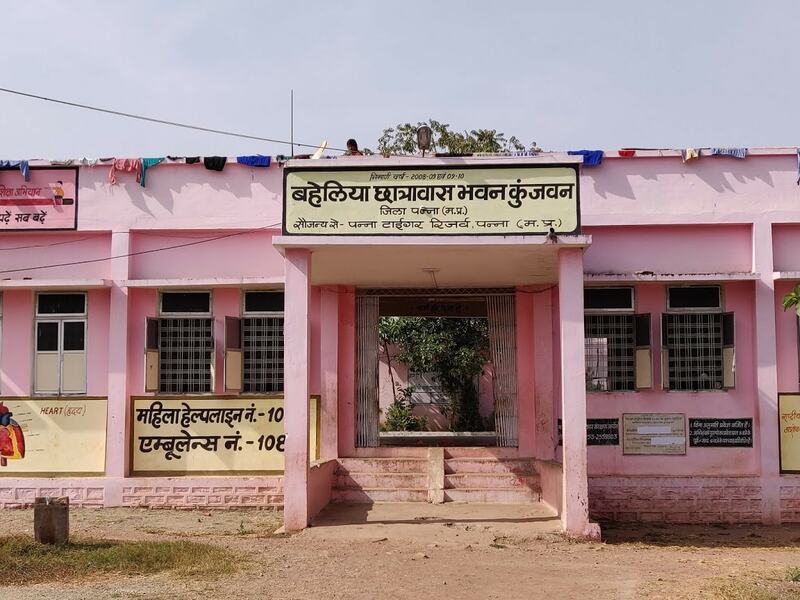 Even as the fate of her community's future hung in the balance, Sijaran Pardhi defied the dread and the cold, and made her way to Mahatma Gandhi College in Satna at Madhya Pradesh. A little older than most in her BA-first year class, she never dragged her feet. Age wasn’t the only hurdle for Sijaran to compete as an equal among her peers. There was no one else in her class of 45 that the 22-year-old girl identified with. While the rest had memories of childhood homes, she had memories of lush forests and blue lagoons. While others recalled the dolls they played with as children, she recalled wild berries and severed tiger fangs. “It's like trying to catch up to a wave. Every time I try to get close to it, I get sucked in by the current. In my case, it is my birth," the girl said. Born into the Pardhi community — a hunter-gatherer nomadic community that is classified under the so-called 'denotified' tribes of India — Sijaran is one of the first and few women among her people (or her ‘samaaj’ as she refers to it) to go to college, making her stand out from the thousands of women (and men) who never had anything close to formal education. For hundreds of years, Pardhis have lived in the forests of Madhya Pradesh , Chhattisgarh, Maharashtra and Gujarat. However, increasing industrialization and taking over of forest lands by government or private industrialists has led to large-scale displacement of the forest-dwelling community, forcing them to the peripheries of their natural homes. And discrimination, lack of employment and poverty has kept them from penetrating villages and urban centres. And now, the Supreme Court's order to evict over a million tribal people from forest areas in 16 states has driven among activists as well as members of tribal communities. Land and asset-less to begin with, many nomadic communities now faces the prospect of forced urban settlement or worse, displacement. In Madhya Pradesh, Pardhis stay in small hamlets outside or sometimes inside towns and cities, much like Sijaran’s own family. She visited them in Gandhigram, outside the Panna forest area in December. They had been settled there along with 50-60 other families of the community with the help of the Forest department. Last Wilderness Foundation, a wildlife conservation organisation that focuses on working with different communities that are dependent on the forests and wildlife such as Baigas, Pardhis and more, also helps the families get aid and employment. LWF has over the years made several efforts to improve the lives of Pardhis in MP, including running a hostels for Pardhi girls and boys in Panna. It is through one of these hostels that Sijaran became one of the first Pardhi girls in the area to go to college. The Baheliya Chatrawas Bhawan Kunjwan hostel had about 70 Pardhi girls and could hold up to a hundred. It was set up by the Management of Panna Tiger Reserve management in association with World Wildlife Fund (WWF) and Sarva Shiksha Abhiyan (SSA) in the year 2008. The following year, LWF took charge of the hostel. Apart from three freshly cooked meals every day, books and notebooks to students, uniforms and surprise treats on Diwali or Christmas, the hostel provided many – like Sijaran – with a fresh lease of hope and a new challenge. In the hostel, students are taught Hindi, English, Science, History and Math. A similar establishment for boys is also maintained by LWF in Panna. The funding till class VIII comes from the SSA, under the State Education Board, from IX-XII, costs are borne by the Panna Tiger Reserve Forest Department while LWF provides further support to students like Sijaran after class XII. But it wasn't easy to get the students to the hostel in the first place. Indrabhan Singh Bundela, a former employee with the WWF, took up charge of gathering prospective Pardhi students spread out across the Panna forest cover. He tracked down settlements and held meetings and workshops with families. It wasn't always easy as the people kept moving. It was often hard to find the same family twice on the same page. "He would follow us, live with us. He became friends with us, even started eating like us. He was not used to living in forests and it showed. But he never gave up," she said. Pardhis were branded as a 'Criminal Tribe' in 1871 (Criminal Tribes Act) by the colonial British government. It was not until after independence that the then Prime Minister denotified the 150 'criminal tribes'. 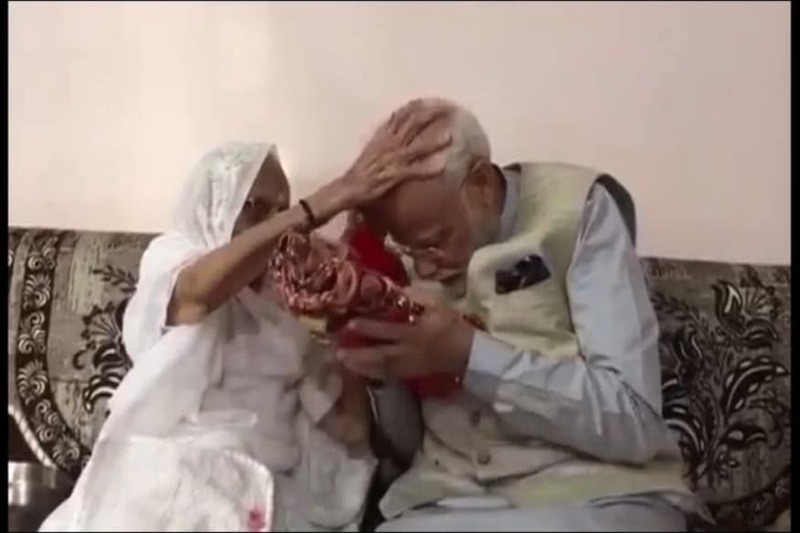 But persisting stigma, lack of fixed assets and political representation meant that Pardhis remained outside mainstream resource and income distribution as well as the modern education system and politics. The union budget, this year, saw the formation of a Central Denotified Welfare Board. Apart from LWF, a few initiatives by other individuals, NGOs and schemes like the DNT scholarship now exist for the rehabilitation and education of Pardhi youth. However, development of the community has been restricted and slow. With the eventual ban on hunting in India in 1972 (Wildlife Protection Act), Pardhis lost their traditional occupation. Skilled hunters and trap-makers, the Pardhis are often blamed for the decline of the tiger population in Panna, inviting police brutality and illegal detentions of Pardhi men by police and forest officials. And the latest petitions against the UPA-era Forest Rights Act (2006) by wildlife activists and urban environmental interventionists has cast aspersions on the role of forest-dwelling tribes in conservation, thus necessitating their removal from forest tracts. However, according to Vidya Venkatesh from LWF, an organisation that primarily started out of conservationism, engaging Pardhi youth in wildlife conservation and forest tourism was a good way to use the traditional skill set of forest-dwelling communities. Today, amid renewed discourse regarding the role of forest-dwelling communities in conservation, many such as writer Janaki Lenin believe that local actors play a far greater and positive role in conservation of forests and wildlife. “Communities in forest after forest show themselves to be sophisticated managers. They draw up rules that everyone follows. They set caps on how much flowers, fruits and herbs can be collected with minimal damage. Taking turns to patrol, they penalise disobedience. It makes sense because profligacy handicaps their own survival,” Lenin, who writes extensively on conservation, said previously. Though Lenin was not speaking directly of the Pardhis, the same is true for them too. LWF initiated forest tours aided by Pardhi tour guides with a view to steer them toward new career opportunities and so far, the results have been positive. However, are initiatives by organisations at a non-governmental level enough to bring Pardhis into the mainstream? "There's no reservation in jobs or education for DNTs. To get SC/ST/OBC reservation benefits, Pardhis need to produce a caste certificate which is often hard to get," Sijaran said. "Because for that we first need a DNT certificate and for that, we need to prove ancestral residence in an area," she added. Without a fixed home or literacy, filling out these documents is near impossible for nomadic communities such as hers, meaning they were doomed to abject poverty. Now, the new threat from the SC ordered eviction looms large and Sijaran, one of the few people in her community who can understand the consequences of the move, is worried. "It seems that 'New India' is trying to push us out altogether. With elections coming, all we want is to be included in the national narrative," Sijaran, who dreams of becoming an IPS officer one day, said. In previous decades, Pardhi women had been involved in 'manihar' — the sale of deer musk (kasturi), wild berries, and jewelry made from animal skin and beads. But rapid urban industrialization has driven them out onto the streets and into illegal scrap and metal collection. With urban Pardhi men rendered jobless due to police conscription, the women are often responsible for earning the day-to-day expenses of a family through scrap-collection. However, being bread earners in a does not bring them agency or independence. Despite being 'working women' and following matriarchal practices within the community, they did not have equal rights, much like other patriarchal communities. 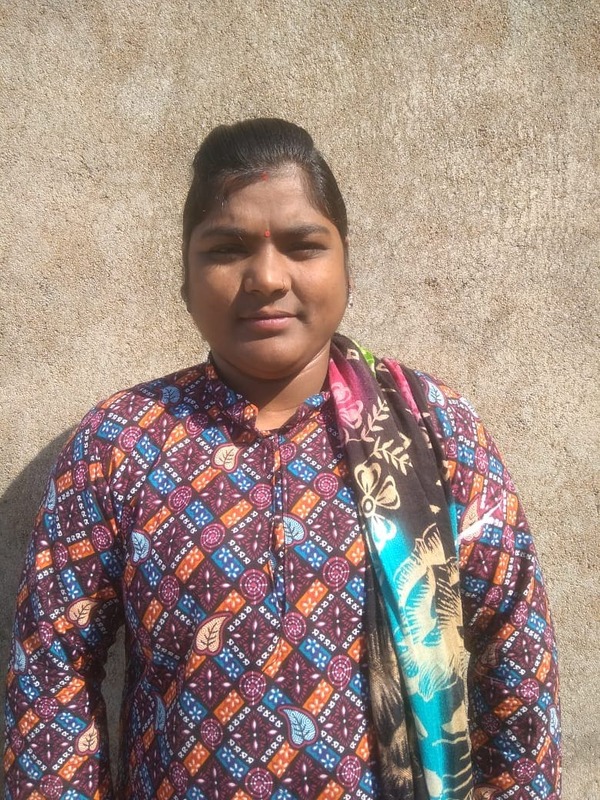 Sijaran, who married recently and is now 22, is involved in community building exercises while trying to aid other Pardhi women to become literate. Mental health was also one of the most neglected aspects among Pardhis, especially women. Not too long ago, in 2017, a Pardhi woman from Gandhinagar, Bhopal, set herself on fire following alleged torture by police. Sijaran added that when she became a police officer, she would like to work improving women's safety. With the Lok Sabha election coming, Sijaran hopes that political parties would look at these issues and think about the welfare of tribal and nomadic populations. "Whoever comes to power must keep us in mind. We need educational infrastructure, job, reservation and acceptance. Evicting us from forests will only cause anger and more distress for vulnerable communities," Sijaran said. In Feb, the Supreme Court pulled up 16 states that had been ordered to evict tribal populations from forest tracts. If followed, the order — aimed at improving wildlife conservation — is expected to drive out over am million tribals from their forest homes. More states are supposed to follow. The order came in response to petitions by wildlife organisations and activists who questioned the validity of the UPA-1 era Scheduled Tribes and Other Traditional Forest Dwellers (Recognition of Forest Rights) Act, 2006 and said that tribal populations hindered conservation. The last hearing of the case received flak due to the absence of a government lawyer to defend the tribals in the case. The next is scheduled to take place on July 27, meaning the lives of lakhs of forest-dwellers hands in balance. In MP itself, 2.6 lakh tribal families face eviction. With upcoming elections, it is perhaps the right time to take a closer look at these communities, their lives and dependence on natural resources, as well as possible rehabilitation. Sijaran’s story proves that for communities like hers, stepping out of the forest is perhaps the easiest part. But surviving Darwin’s selective evolution in urban contexts may take Pardhis and other DNTs several years of fine-tuning – a challenge not just for the community but also (and even more so) for future Indian governments.